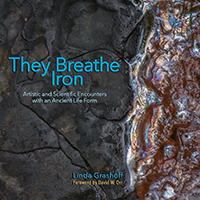 This entry was posted on July 20, 2018 by Linda Grashoff. 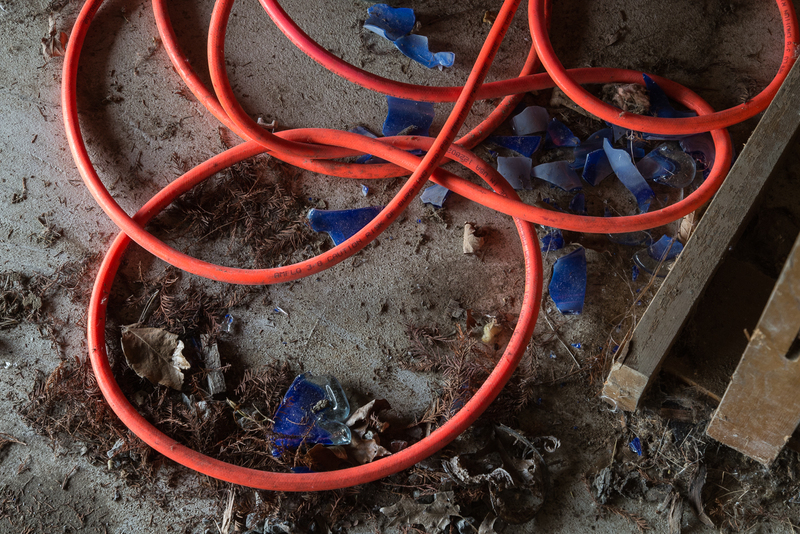 It was filed under Built Environment, hoses and cables, Objects, Outbuildings and was tagged with broken glass, hose, Northern Ohio, photography, tractor barn. Thank you, Lynn. I can’t say I “know” much when I’m taking photographs. It’s all by feel. Or really, by turn-on. Like: Oo! Hoses. Red hoses. Blue glass chards. Make composition. Shoot. Chimp. Adjust exposure. Shoot. Chimp. Adjust exposure. Shoot. Chimp. Adjust exposure. OK. What’s next? Later, seeing the photos in download, I might say, “Well, that worked, didn’t it. Maybe it worked because of such and such.” Or “Well, that didn’t work, did it. Maybe if I had done such and such it would have.” Or just “nope.” To flatter myself I might say that I work intuitively, but in truth it’s probably closer to laziness. All by feel here, too, for sure. And too often I may not even check and redo a photo. But let’s call it an intuitive process. Labeling it laziness sounds suspiciously like a value judgement created by our culture’s emphasis on logic, planning, etc. (not to mention the masculine as opposed to the feminine). OK, I’m off the soapbox now. Oh, yeah; sometimes I don’t check either. And regret it later. Or I’ll redo it a bazillion times and then just quit before getting it right, thinking “that’s enough.” Hard to call that intuition, but it’s not quite laziness, either.